PipeLineDeals CRM is approximately $24USD per user per month (subject to change)(Min 3 user licence). to our support tribe. PLD will then implement the fields and statuses so that live notifications will run once you turn it on through the App Center. Using Zulu eDM and Pipeline Deals we deliver real time campaign interactions as notifications for sales teams to follow up important leads. 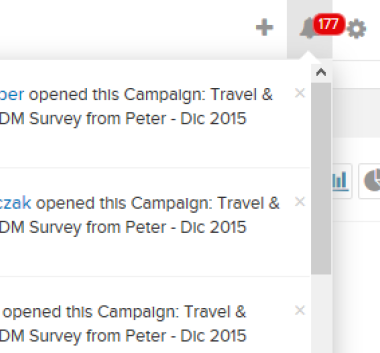 Campaign information is stored in the CRM and therefore the sales team can be managed through the pipeline process. That means, survey submissions, campaign clicks and campaign open notifications flow to the relevant sales person via the CRM who can decide if the trigger is a cause to make a sales follow up or make a new contact.